Twenty-five years ago, my parents purchased their first Labrador. We've been breeding the same line of dogs ever since. 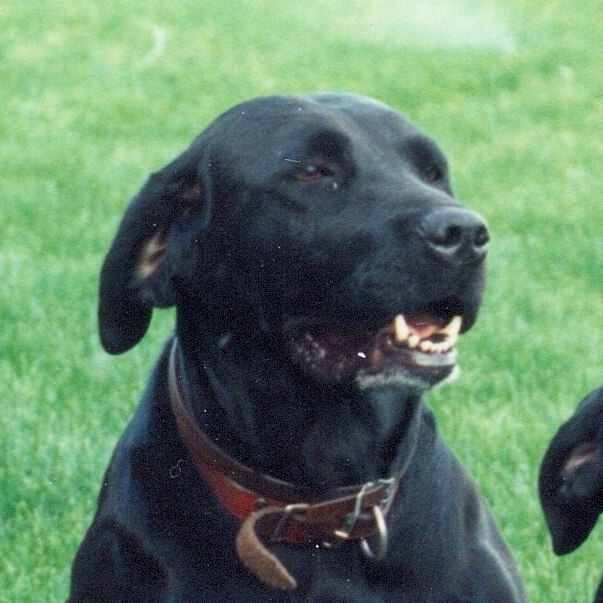 "Chivas" was the first Labrador my parents had ever owned. They purchased her 25 years ago! Chivas had just about the strongest retrieving instinct we've ever seen in a dog. Our family fell in love with the breed. "﻿Ruby﻿" is the only dark red Labrador that has ever been born in any litter of ours or of my parents over the last 25 years! Her genes are obviously very unique! Ruby is Bridget's daughter, and is very proudly owned by our nine-year-old son. She is the ultimate sweet and gentle family dog. Her intelligence and willingness to please make her a joy to be around. Everyone who meets Ruby loves her. "Elsa" was another of my parents' Labradors (not related to Chivas). 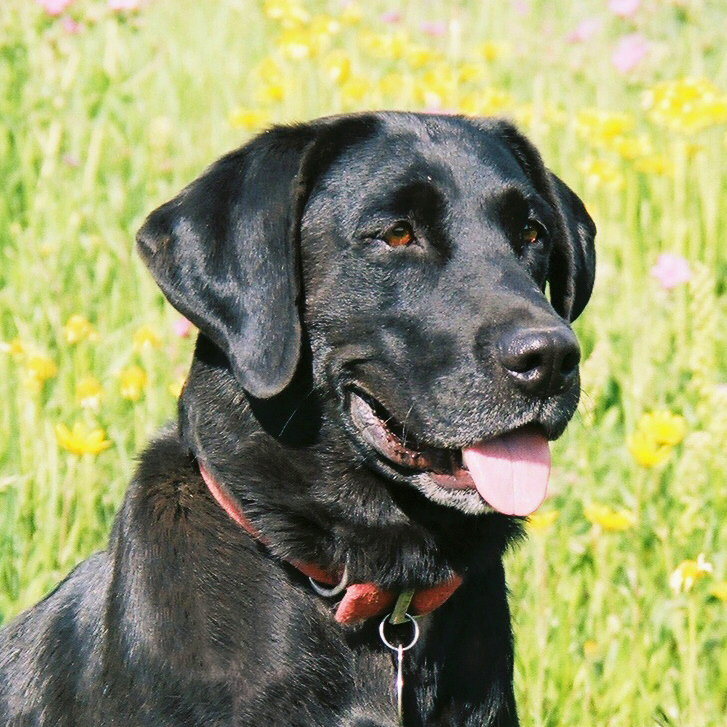 Elsa was a sweet, laid-back, friendly Lab who produced amazing puppies over the years. My parents bred her to Chivas' son, Pro Neutron, in order to get a litter with Chivas' amazing retrieving instincts. We kept one of those puppies, "Bridget." "Maxine" is Ruby's daughter and is owned by my parents in Montana. She has a darker yellow coat, getting close to red, though she is not nearly as red as her mother (this photo makes her look redder than she actually is). 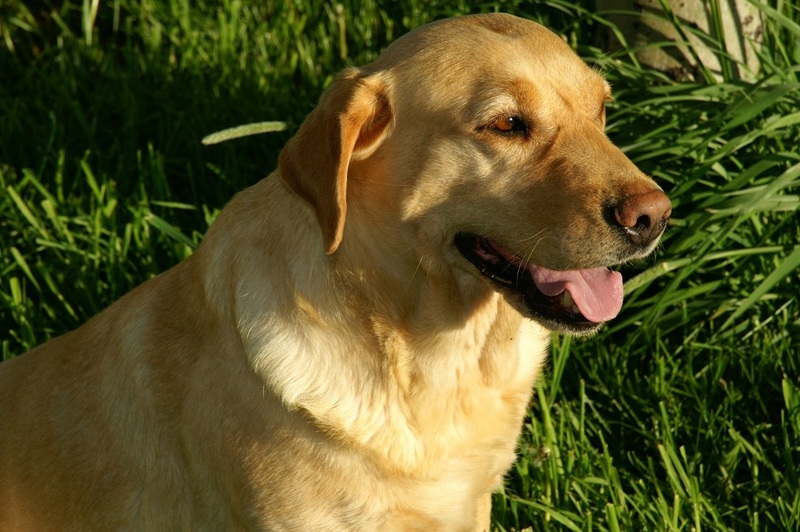 Maxine is a high-powered retriever who LOVES to carry large objects around with her everywhere she goes. She is taller and lankier than Ruby, with a slightly larger head, and she is built to retrieve ducks and geese all day long! She is sweet as well, and as smart as they come! 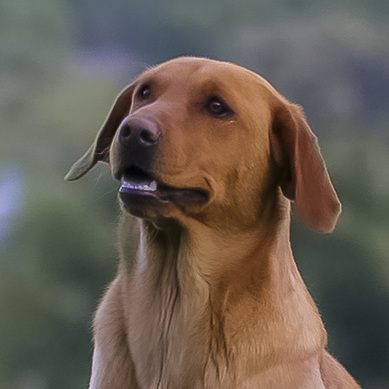 "Bridget," daughter of Elsa and grand daughter of Chivas, carried on the legacy of a relentless retrieving drive, sweet, family-oriented personality, and classic Lab looks! Bridget was our beloved family pet and gave birth to some phenomenal puppies in her time.